Tommy Good is a 12-year-old who, despite a diagnosis of cerebral palsy, looks forward to a bright and promising future. He is goal oriented and has shown that his diagnosis will not hold him back. 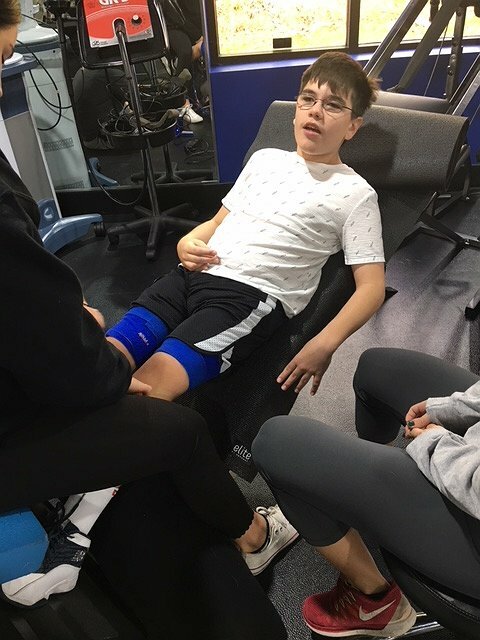 However, Tommy and his family need help with the challenge of funding the therapy that will enable him to achieve his goal of walking independently. Tommy was born at 30 weeks weighing 2 lbs. 9 oz. When he was one and not meeting developmental milestones, his medical team felt that the delay was due to premature birth. Later, when he couldn’t pull himself up or walk, and had problems sitting without support, we began physical and occupational therapy. The Physical Therapist felt there was something wrong and suggested an MRI. We went to a highly recommended doctor who took a look at Tommy and said he would never walk or talk. The MRI showed his motor skills lobe never developed; His Diagnosis was Mild Spastic Cerebral Palsy. Tommy has endured many surgeries, the first at just 18 months. Now, he is a bright happy boy who attends public school and is in General Education. He talks nonstop and can walk with assistance. Recently, Tommy joined C.O.R.E where he receives 4 hours of therapy per week. This therapy is very expensive and is not covered by his insurance. Tommy is confident that he will walk independently. He has achieved many goals including earning his Orange Belt in Karate. He is now working on his Purple Belt! Tommy has proven so many people wrong by all his achievements and will do it again if he has access to therapy. 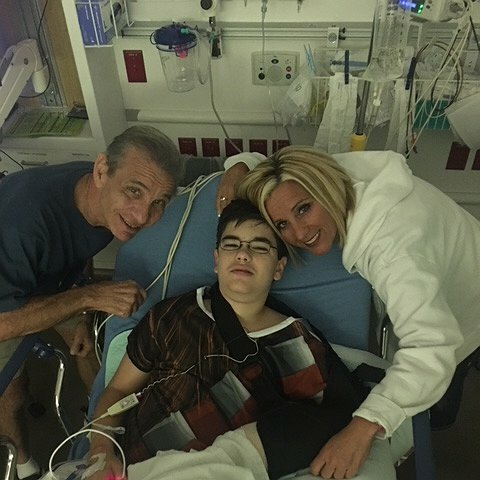 Family and friends of Tommy Good are raising money to pay for uninsured medical expenses associated with Catastrophic Illness. Tommy has chosen to fundraise with Help Hope Live in part because Help Hope Live assures fiscal accountability of funds raised and tax deductibility to the full extent allowed by law for donors. Donors can be sure that funds donated will be used only to pay or reimburse medically-related expenses. To make a tax-deductible donation to this fundraising campaign, click on the GIVE button. you are such an inspiration to so many people ,your determination and courage are infectious.keep it up little brother.